If you responded to the above title with thoughts of Al Qaeda or ISIS, it’s understandable. 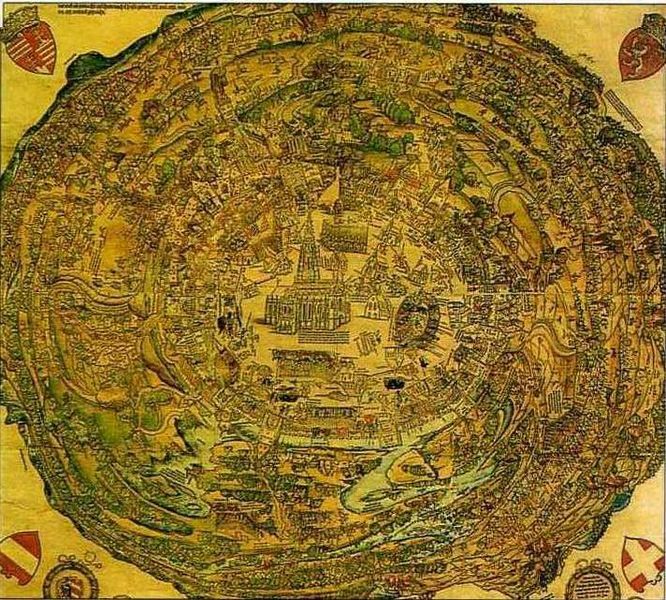 The most noticeable current events tend to occupy our day-to-day consciousness, but the attack that we refer to in this article occurred in 1529. This October marks the four hundred, eighty-fifth anniversary of the first attack by Islamic radicals against Vienna. 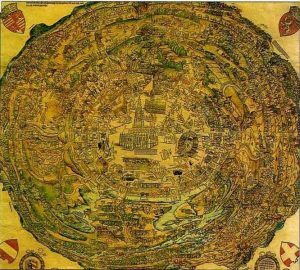 In the spring of 1529, the emperor of the Ottoman Empire looked to the west and saw what appeared to be a golden opportunity. After the death of Hungarian King Vladisalus II, Hungary was left in upheaval due to a crisis of succession. The competing interests of the Hapsburg Empire and a coalition of Hungarian nobility divided the country. 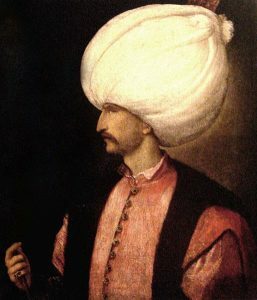 Suleiman “the Magnificent” saw an opportunity to achieve his dream of expanding the Ottoman Empire to include all of Europe. Suleiman’s diplomats obtained an alliance with the Hungarian nobility in exchange for their vassalage if he would drive the Hapsburgs from Hungary and Austria. By May of 1529, Suleiman had assembled a large army in Bulgaria for a campaign against Europe. Estimates of the size of that army vary wildly depending on which accounts we accept. Ottoman chroniclers number it at approximately 130,000 troops. Since these troops were paid professionals, the Ottomans would have had a good idea of how many they were paying and supplying. The Ottoman estimates include personnel that would maintain secure transportation of supplies for the army as it moved toward Europe. We can reasonably presume that, in addition to transportation forces, Suleiman’s army included 10,000 Janissaries. The Janissaries were an elite force. They were not only well-trained in infantry weapons and tactics, but were also highly skilled combat engineers. They used their road building skills to help move Suleiman’s army beyond Ottoman held territory into contested areas of Hungary and into Austria. Even if we accept the Ottoman chroniclers’ estimate of 130,000 troops, imagine what a challenge the Ottomans faced in simply moving their army along a 2,000 kilometer path to the distant scene of the battle. That army, its mounts, and its draft animals had to eat every day. In 1529, the state of roads and bridges in Eastern Europe was deplorable. The only available “fast food” on their journey would come in the form of fresh grass for the animals, if God provided the necessary rain. Undoubtedly, mass prayers for victory and for rain were a daily occurrence amongst the assembled Ottoman troops. To their delight, God answered their prayers and provided adequate spring rains to Eastern Europe and, hence, fresh grass. On May 10, Suleiman’s army set forth toward Croatia. After a few days, their enthusiasm for an adventure-filled jihadi road trip began to dampen. As the rain continued and the route became muddier, they perhaps wondered about the wisdom of having prayed so hard for rain. Many of the Janissaries fell ill due to their exhausting efforts at road repair and bridge building. 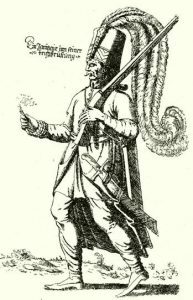 On August 18, 1529, after three months of slogging through mud, the Ottoman army reached the Mohacs Plain in Hungary, where they were joined by approximately 10,000 cavalry led by Jan Zápolya, the “anti-Hapsburg” claimant to the Hungarian throne. In the ensuing weeks, although the heavier-than-normal rains continued, Suleiman’s huge army was perhaps encouraged by their rapid victories against lightly garrisoned Hapsburg strongholds. The mud continued to exact a heavy toll on the men and animals alike, but all in all, the shock and awe plan was going swell. All that shock and awe did not go unnoticed by the folks in Vienna. The locals were not looking forward to life under Ottoman rule, so they responded enthusiastically to Vienna’s new “if it walks on two feet, it’s a soldier” draft policy. The Viennese were short on trained troops, but they had plenty of mud. They used it well. Since word of the Ottoman campaign had reached them in May, they had spent the spring and summer reinforcing both their outer town walls and the inner defenses of the cathedral area. By September, German heavy infantry and elite Spanish musketeers had arrived to reinforce the city. The experienced German general, Count Nicholas of Salm, was in overall command of Vienna’s 20,000+ strong defense forces. On September 27, Suleiman’s army reached Vienna. Many of his troops had died of sickness and exhaustion on the trip. We can take an educated guess that he had about 70,000 troops healthy enough for combat and siege operations, and he had no heavy cannon. Suleiman sent emissaries with an ultimatum. Vienna could surrender and receive mercy, or he would take the city by force and kill every last inhabitant, including the children. Vienna refused to surrender. I’m guessing that about now, Suleiman’s Imams were leading daily prayers for an end to the rain. 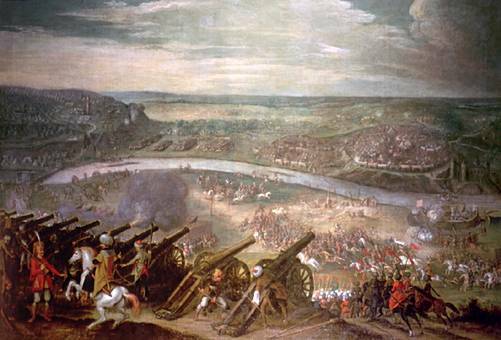 Suleiman began bombarding Vienna, but his light artillery did almost no damage to the newly reinforced walls of the city. His troops began mining operations to go underneath the walls, but the rains continued in record fashion. The deluge slowed the mining attempts, and the defensive forces watched the Ottomans carefully from the relative comfort of the well-supplied city. Whenever the jihad mining gangs looked vulnerable, the Viennese conducted quick raids against them with their well-fed well-rested troops. Suleiman’s Jihad Spring Road Trip was turning into an Autumn Disaster. By October 12, disease, exhaustion, desertion, and dwindling food supplies caused Suleiman to hold a war council. They decided to make one last ditch attempt at storming the walls of Vienna. Suleiman’s Hail Mary charge against the walls of Vienna failed. The Ottomans began to retreat. Their prayers for an end to the rain were finally answered. The rain was replaced by unseasonably heavy snows. For the Viennese, the battle was over. The Ottomans now faced a new enemy. They had to conduct a long retreat with a sick army through heavy snows. Suleiman’s defeat at the gates of Vienna in 1529 was not the last attempt by the Ottomans to take Vienna, but that’s a story for next week. Hi Karina. Thanks for visiting. You’re right, Jay. When I saw the title I wondered how I missed a JIDAD crisis in Vienna. Good to know I missed it because I was born four hundred years too early. I’ve been remiss in not reading your position pieces on ISIS and the current crises. Yes. I intended plural ‘crises.’ You bring great insight and — more importantly — I trust your Intel. Hi Gloria. Thanks for the compliment. God doesn’t take Muslim terrorism lightly, whether it’s using rain to defeat Sulieman or allowing tiny Israel to defeat the combined might of the Muslim world in 6 days, He protects His people. Hi David. Thank you for your visit. When my inner child dreams of time travel, I dream of being a silent observer to past events. I would enjoy being able to hear the confusion in Suleiman’s camp as the Imams had to redirect the masses from praying for rain to praying for a warm dry wind. That dry wind never came. If you have not previously done so, you might wish to take a look at the battle of Covadonga in Spain in 718. It is a case that Spanish Christians point to as an example of direct divine intervention.